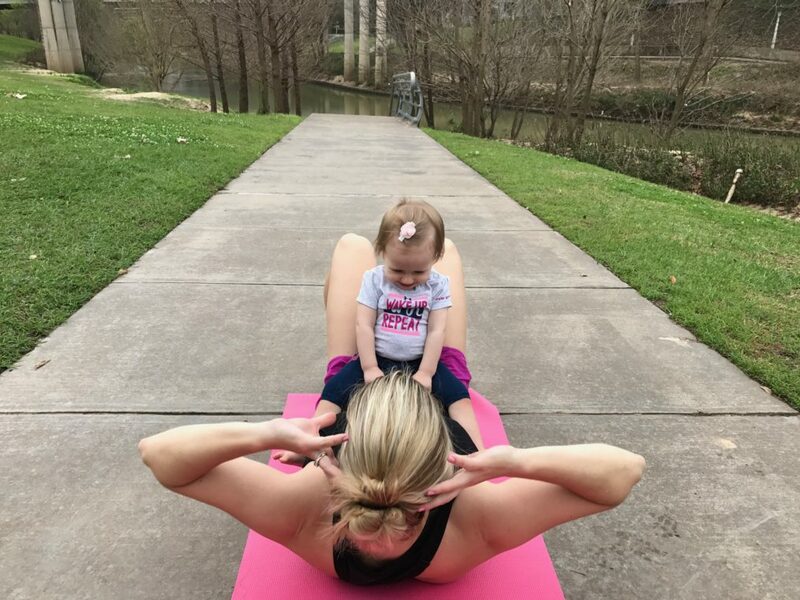 Now that my daughter is one – she’s kind of in between ages for “baby workouts” or mommy and me classes where you bring your baby. Most of those are designed for babies that will be super still or sleep in their strollers. But, she’s also too young for “toddler yoga” and some classes where the kids are more active. So, I wanted to share some of my favorite workouts you can do with your baby or toddler if you can’t find a class nearby. I have been meaning to post this video for a LONG time. I filmed it a couple of years ago when my son was about 12 months old and not yet walking. As you can see in the video – it was super hard to get him to cooperate! But, that’s real life! It’s hard to get in a workout with kids and they will cry, want to grab your hair and won’t sit still. Even if you just get in 5-10 minutes it is better than nothing! Just remember that soon enough he/she will be in school full time and you will miss these precious moments to include them in your daily life. The exercises in the video are for babies you can still hold. If you have a bigger toddler, try my sample workout below. *Be sure to talk to your doctor first before doing this workout or starting any new exercise routine. Warmup together by dancing around, walking around the block or doing something to get your heart rate up. 20 regular squats (toes pointing out and feet slightly wider than hips) holding baby, or if he/she is bigger see if they can try squats too! They love to copy mommy! Set baby/toddler down and do 15-20 pushups. If they aren’t walking or crawling – you can lay them down under you – they love this (see in my video below)! 20 Plie Squats holding baby (toes point out slightly and feet are slightly wider than hips). Remember – the bigger the baby/toddler the more of a challenge it will be! 15 tricep pushups with baby nearby or underneath you (place wrists under shoulders and hands are more narrow, keep elbows close to your sides). Again, if they are bigger – see if they can hold “plank” or try a pushup. 10 Reverse lunges on each leg holding baby or with them close by. 20 Sets of Mountain Climbers with baby nearby or underneath. 20 Side lunges holding baby (alternate left and right). 20 “suicide planks” starting in a high plank (pushup position) then lower down to forearm plank. Repeat for 20 total and alternate going up and down on the left and right so it’s not all one arm doing the work. 20 Hip Bridges holding baby on top of you on your lower abdomen/hip bones (like in my picture above with my daughter). If you are more advanced, you can do them with your upper back on a bench and hold your baby or toddler on your hips. As you can see in my video above…some playmats don’t work very well for workouts and they slide around too much! 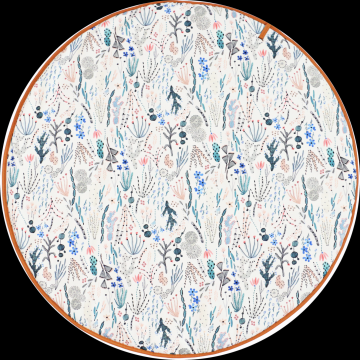 I am in love with this cute circular playmat I found at The Baby Cubby. It’s so pretty and makes a great space for your baby (and you) to do some yoga, or you can have your baby play on her mat while you workout nearby. The baby and toddler years go by so fast – so be sure to take pics of you working out together! Get a friend or partner to help. I also think it’s cute if you can find matching yoga gear or workout shorts, shoes or tanks! 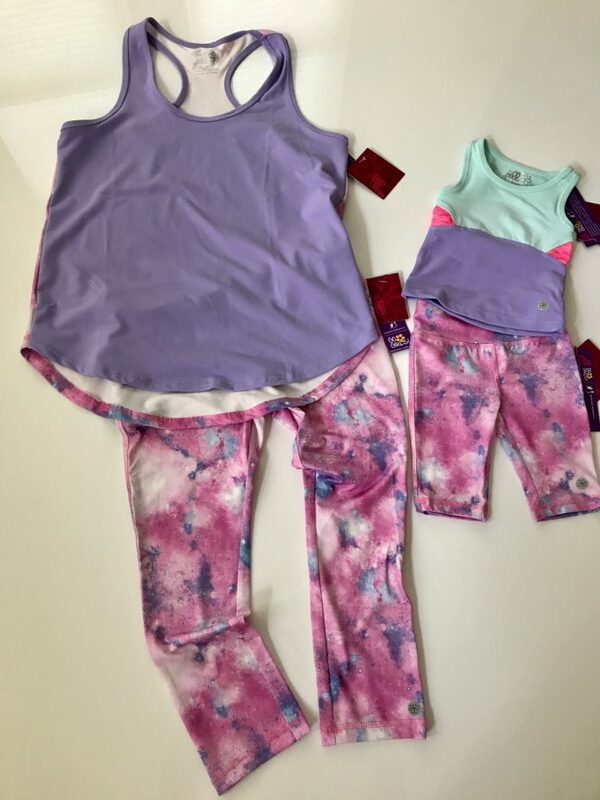 My favorite yoga gear for “mommy and me” is by Jill Yoga! They have the cutest outfits (even if you don’t want to match) for infants through girls. If your toddler is older, he/she may want their own set of weights. 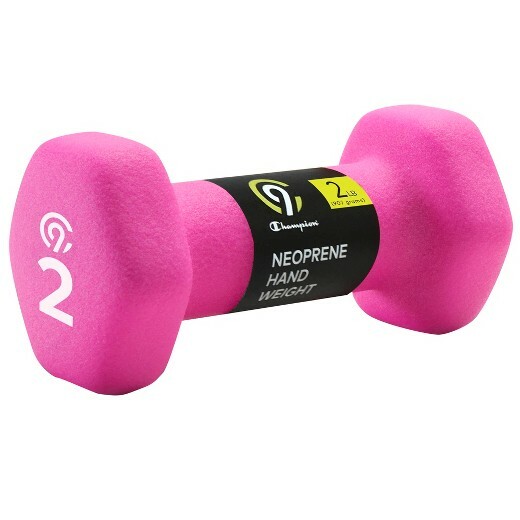 I bought a simple set of 2 pound dumbbells at Target that my kids love. Or, if you wan to go all out – you can set them up a little section in your home gym or workout area with this bench and barbell set. 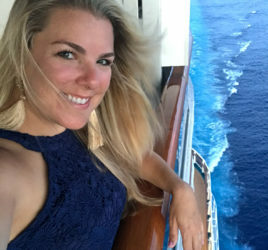 For more ideas check out my Fit Mom Favorites.